I was at a bit of a loss as to what to get my husband for Chanukah this year, so I poked around Amazon until I found a game that I thought he would enjoy: Dominion. Dominion is a customizable card game where the goal is to develop a deck that contains as many victory points as possible. The backstory is that you and the other players are all feudal lords, trying to gain control of as much land as you can, while fighting off incursions from the neighboring lords. My husband really likes strategy games, and though I've never enjoyed them, the box said the game would only take half an hour to play, unlike marathon games of Risk or Axis & Allies. I figured that I could manage that to keep my husband happy. But a funny thing happened -- as soon as he taught the family how to play, we all fell in love with the game, and now he hardly gets a chance to use it! 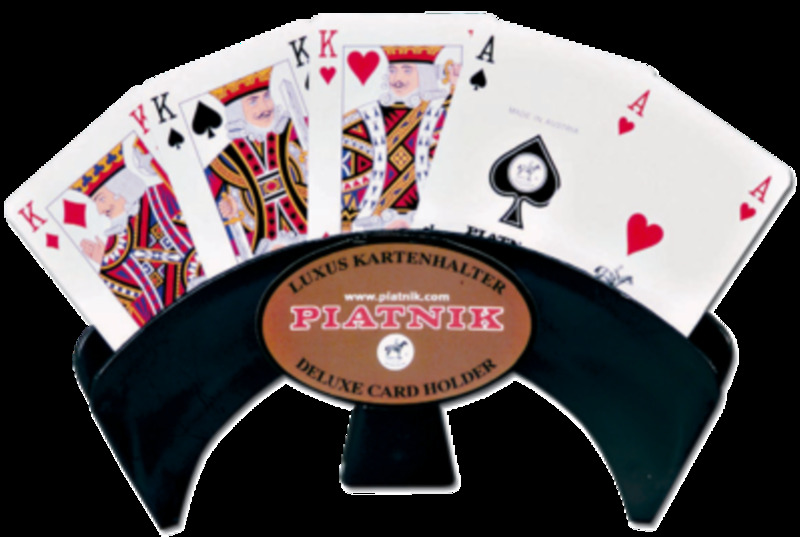 Each player begins the game with three estate cards and seven copper coin cards. On the table are piles of victory cards in different denominations (estates, duchies, and provinces); copper, silver, and gold coin cards; and ten sets of kingdom cards that you choose. This is the brilliant part of Dominion: every game is different, because you can choose any ten out of the 25 sets of kingdom cards that come in the base game. (As you become more experienced, you can buy expansion packs, which makes the replay value nearly limitless.) Each type of kingdom card allows you to act in different ways. Some cards give you extra actions, so you can use more cards from your hand in a single turn. Other cards give you extra opportunities to buy additional cards, or extra coins so you have more buying power in that turn. Each turn has three parts: an action, a buy, and the clean-up. Draw a hand of five cards from your deck, play an action card (or several, if you can stack up extra actions). Once you're done with actions, you use the coins in your hand and any on your action cards to buy one or more cards, depending on whether your actions cards offered you extra buys. When you're done, all the cards that you played and the ones remaining in your hand go into your discard pile. Don't worry -- you don't lose them. Once your deck is empty, you shuffle your discard pile and start over with that as your deck. Play goes around the table, and continues until the pile of province cards is empty, or three other piles of cards are empty. Then each player tallies up the victory points in his hand. The player with the most victory points wins. 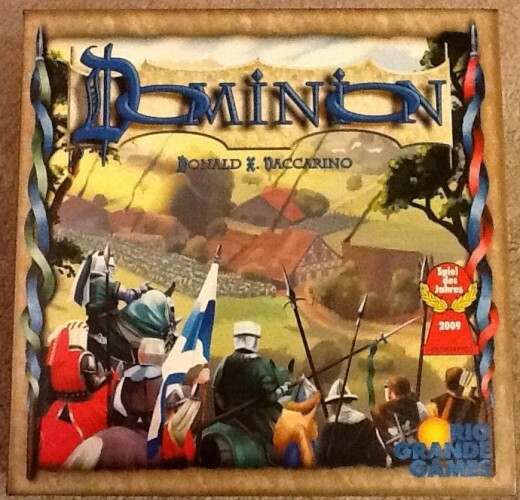 When playing your first few games of Dominion, your best bet is to get a lot of coins early in the game. Although it may hinder you from stacking actions, it will allow you to gain the all-important victory points you need to win. However, while getting a lot of gold will help you gain victory points, cash does not count for anything in the final reckoning, and playing this strategy will get boring once you understand the mechanics of the game. After you've read up on all the cards and tried them out in a few games, start to focus on getting cards that stack actions early in the game. For instance, if your kingdom cards include Village (+1 card, +2 actions) and Market (+1 card, +1 action, +1 buy, +1 coin), make sure you buy several so they pop up in your hand frequently, and allow you to use more of the other actions in your hand. You can choose kingdom cards for your game specifically in order to have them interact. (This becomes more obvious when you add the expansion packs.) For instance, if you have Dominion: Intrigue, you can play with the Throne Room card from the base game (which allows you to play another action card twice) and the Coppersmith card (which adds one copper to each copper in your hand). When they both appear in your hand, Throne Room potentiates Coppersmith, and each copper you have in your hand becomes worth three coins instead of one (or two, if you play Coppersmith alone). 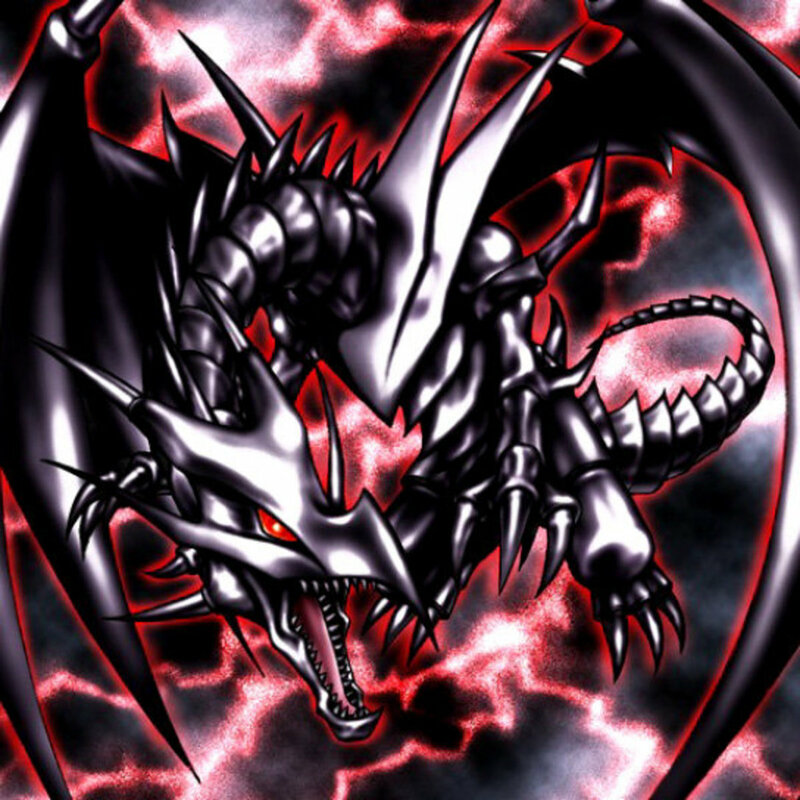 Obviously, this allows you to gain victory points and other expensive cards much faster. Some people like to trash their less valuable cards (such as Estates) so that more valuable cards come up in their hand more often. This is a more advanced strategy, but you can use it to great effect if you have a card like Bishop (from Prosperity) that not only gives you a coin and a victory token, but also allows you to trash a card and get victory tokens equal to half its cost. If you trash an Estate, you end up with a victory token on your mat (equal to the worth of the Estate), and you get an otherwise useless card out of your deck. You'll need to buy the base game or Dominion: Intrigue to get started, but after that there are nearly a dozen expansions to choose from. Intrigue: This is not really an expansion pack, because it contains all the items you need to play a full game. However, I recommend getting the base set first, because it is easier to learn with. Intrigue can also combine with the base set to allow for up to six people to play together. The goal of Intrigue is to force more interaction between players. Seaside: This expansion pack offers 26 kingdom cards. Its theme is cards that make you look ahead to your next turn. To that end, eight of the cards are of a new type called duration cards, which give you actions both in your current and in your next turns. It includes mats and tokens to assist you in gameplay. Alchemy: This is a smaller expansion, which includes 12 kingdom cards and a new treasure card, Potions. Some of the Alchemy cards require you to have a Potion card in your hand to play them, so it is difficult to use just one or two of the kingdom cards from this set in a deck with other sets. Prosperity: This set contains 25 new kingdom cards, including several additional treasure cards. The theme is, obviously, the creation of wealth. Cornucopia: This is another smaller expansion pack. It contains 13 new kingdom cards, plus several "prize" cards. The goal of the set is to encourage you to gain a variety of cards in your hand. Hinterlands: The theme of this expansion pack is cards that offer immediate action. For instance, when you buy the Ill-gotten Gains card, it allows you to gain a copper to put into your hand for immediate play, and give all the other players a curse card. There are 26 kingdom cards, including three reaction cards, in this expansion. Dark Ages: This huge expansion includes 35 kingdom cards, more than any other set. The focus of this set is to encourage more interaction among players—you'll be trying to make the other players trash good cards or giving them weak cards that will dilute the power of their decks. Adventures: This expansion is complex, and I recommend it for more advanced players. There are 30 kingdom cards (some of which are duration cards, as in Seaside, and some of which are reserve cards) as well as event cards that you can buy instead of kingdom cards. 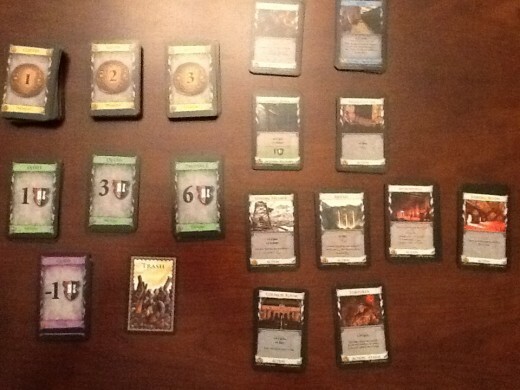 Guilds: This small expansion pack has 13 new kingdom cards and uses coin tokens. You can pay extra for some cards up front to get a larger benefit later. Empires: The newest expansion is once again fun for the whole family, even if it is a bit more complex than some of the earlier ones. There are event cards, landmark cards (that govern the background of the entire game), and several kingdom cards that are split in half. You must buy up all the (less good) cards on top to get to the (more valuable) cards at the bottom of the supply pile. For ideas about how to mix and match cards and build decks, you can't beat Dominion Deck Builder. 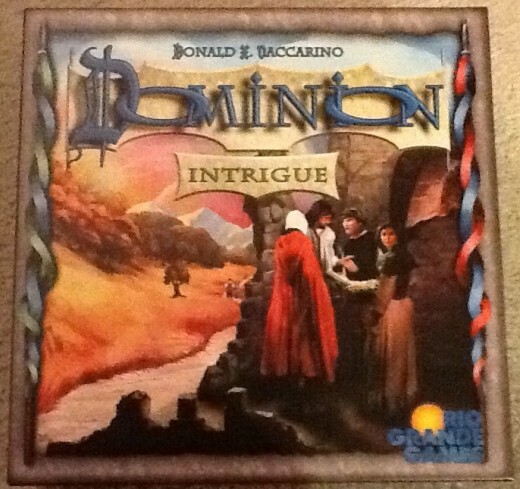 Dominion is a great game for adults playing with other adults, or for adults playing with kids. It is labeled 13+ on the box, but with a little coaching, my five-year-old son who is still learning to read caught right on. (He plays chess, too, so he has a good attention span for games, and understands the concept of strategy.) My eight-year-old daughter absorbed some master strategy from playing with my husband, and now she stacks up actions like a pro. We play all the time as a family, or in twos or threes. My husband and I have also had the opportunity to play with some of our friends, and we had a fantastic time. Some benefits of playing with other adults are that the game moves a little faster (everyone can shuffle his own cards!) and you can play with more vicious attack cards, if you like that sort of thing. But you can't beat it for family time--what other game could keep a family around the table for a 45-minute stretch, laughing and having a great time? It usually takes us about 45 minutes unless we play with a deck that generate a lot of money (in which case we are done in half an hour). The faster you get big-denomination coins in your hand, the faster you can buy up the provinces and end the game. But I find it more enjoyable to play action cards that stack up and interact with each other and the other people playing, and not start picking up victory cards until 20 or 30 minutes into the game. I've played this game and it has taken longer than half an hour. Maybe it has to do with the number of players and how complicated the deck gets?